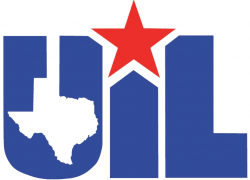 The high school UIL Academic Team competed at the regional meet Fri. and Sat., April 12-13, at Grayson College in Denison. 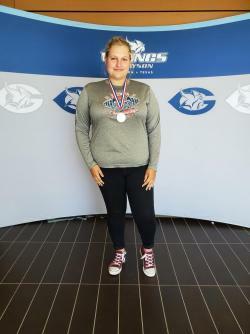 Senior Soleil Landreth advanced to state in a new journalism event called . . . 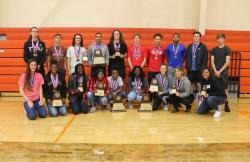 Even though the HGHS Academic UIL Team was small in numbers and unable to compete in many events, they still managed to clinch a third-place spot at the District 13AA meet held in Trenton on Sat., . . . 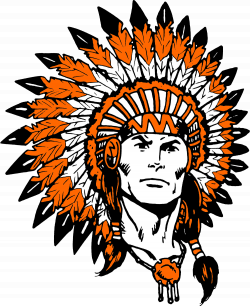 The entire high school student body recently elected the following Class of 2019 members to the following honors: Mr. & Ms. HGHS – Aaron Nelson & Bree Cason Best All-Around – Zeke Woods & Amelia . . . 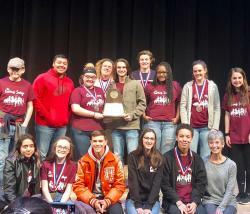 The one-act play troupe will be advancing to Bi-District One-Act Play competition on March 28 at Paris Junior College. Several of our students were also recognized individually for their . . .